Bonding involves connecting metal or materials containing metal to materials such as plastic, rubber or thermoplastic materials without using a bonding adhesive. Bonding with induction entails accelerating the polymerization of an adhesive by heating the metal parts to be joined. The required temperature range is generally from 150 ºC to 220 °C. 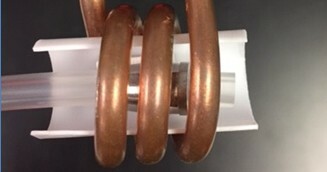 Accurate heat control is critical to successfully bonding with induction heating. A manufacturer in the medical industry was seeking to heat steel tubes for an adhesive bonding application. The parts were stainless steel tubes on plastic tubes. Initial testing confirmed that an EASYHEATTM 1.2 kW, 150-400 kHz induction heating system equipped with a remote workhead was the right system for the application. A manufacturer in the oil and gas industry was looking to heat rubber gaskets with metal end rings to 550 °F (288 ºC) for a release/debonding application. The end product is a subsea sealing solution. Initial testing confirmed that an EASYHEATTM 8.3 kW, 150-400 kHz induction heating system equipped with a remote workhead was optimal for the application. 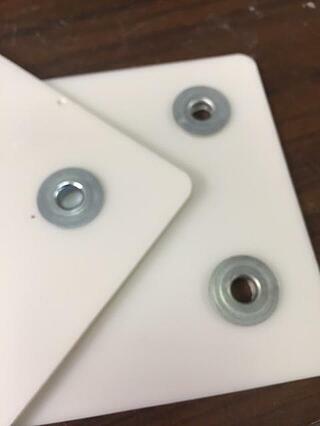 A client approached THE LAB at Ambrell looking to insert magnetic steel inserts into a plastic part in under ten seconds without the part cracking. The client decided to take advantage of THE LAB's complimentary parts testing and sent parts in. 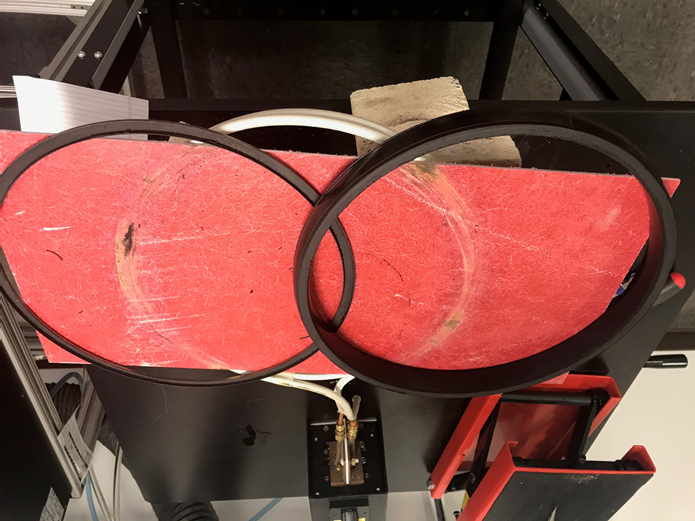 Upon receiving the parts, the applications engineers got to work to determine the feasibility of the application with induction heating from Ambrell.